• A mean FCO2 of −3.76 mmol m−2 d−1 was obtained in the FORSA cruise track. • An Agulhas eddy can uptake up to −3.16 kg CO2 d−1, leading to −2.5 t CO2 lifetime−1. 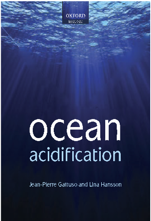 • The seawater temperature is the main driver of the CO2 variability in the SAO. The South Atlantic Ocean is vitally important to the global overturning circulation, which is influenced by heat, salt and other properties carried by Agulhas eddies. However, this influence is not yet fully understood, mainly in the context of the biogeochemistry changes on the CO2 system. 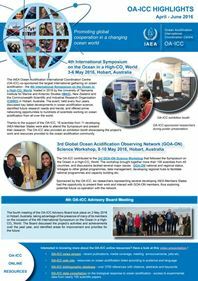 This study uses in situ data obtained during the Following Ocean Rings in the South Atlantic cruise, which occurred between Cape Town, South Africa and Arraial do Cabo, Brazil in July 2015 when six eddies and the surrounding waters were sampled. The seawater and atmospheric CO2 molar fraction, surface temperature and salinity were continuously measured to calculate the oceanic and atmospheric CO2 partial pressures (pCO2sw and pCO2atm, respectively). This study investigated the role played by the Agulhas eddies in the sea-air CO2 net flux (FCO2) and modeled the seawater CO2 as a function of environmental parameters. The mean pCO2sw and pCO2atm for the entire region were 351.5 and 390.6 μatm, respectively. The mean difference (ΔpCO2) was −39.1 μatm. The CO2 uptake was dominated by temperature (r = 0.88) during the period analyzed. The mean FCO2 was −3.76 and −3.62 mmol m−2 d−1 using two different KT-models. We show that an Agulhas eddy can contribute to an ocean uptake of −3.16 kg CO2 d−1, leading to the capture of approximately 2.52 t CO2 lifetime−1. Thus, providing evidence that the Agulhas eddies propagation can likely play a key role on the rapid seawater acidification of the South Atlantic Central Water. A multiple linear regression model was developed that could reliably reconstruct the cruise survey with better results than previously published. Orselli I. B. M., Kerr R., de Azevedo J. L. L., Galdino F., Araujo M. & Garcia C. A. E., 2019. The sea-air CO2 net fluxes in the South Atlantic Ocean and the role played by Agulhas eddies. Progress in Oceanography 170: 40-52. Article (subscription required).